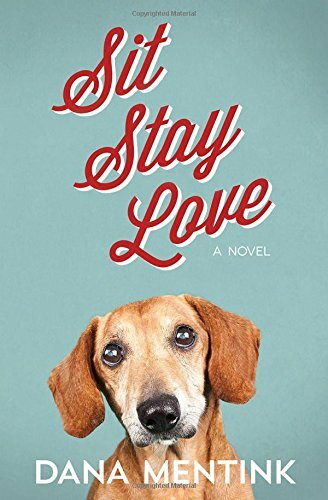 Sit, Stay, Love by Dana Mentink is a totally charming and delightful contemporary Christian novel. The story concerns famous pitcher Cal Crawford, dog sitter Gina Palmer and small elderly dog Tippy. It was a wonderful novel and I could not put it down. Dana Mentink masterfully drew her three main characters. All are unique and all are likeable. Tippy was delightful. For me, the whole novel seemed to revolve around her. One of the themes was of unconditional love. Tippy possessed this quality. Although only a dog, she loved with loyalty and her whole heart. This reminded me of God who loves us unconditionally, no matter what. Whatever we do, whatever others think of us and whatever we think of ourselves, God loves us. Another theme contained within the novel was that of grief and loss. Cal inherited Tippy after his Mom died. For all his fame, Cal had a “mom-sized hole” inside him. Tippy, inspite of being a dog felt the loss of her owner. “She (Tippy) let out a soft whine. The sound was filled with yearning and loss. It spoke of a void that would not be filled this side of heaven.” When our loved ones die, we feel a huge sense of loss, but as Christians we have the hope of heaven. Gina has a good grounding in God. She sees Cal through God’s eyes as she says “God made you Cal Crawford. The world made a pitcher.” Gina recognises God’s handiwork in those around her. The novel also has the theme of searching. There are literal searches and there are searches for love. Cal has had the love of his mother but although he was in denial, he was also searching for his absent father’s love. He receives adoration from the fans and loves his job, but he fears failure as a pitcher. “What if I fail?… if God’s going to take that away, what do I have left?” Cal needs to realises that God will not take away good things from us, and there is so much more to life than being a pitcher. The novel deals with forgiveness and reconciliation. Forgiveness does not mean forgetting but it does mean giving second chances. The character of Gina was delightful, good, kind and loveable. She had a heart of gold and always saw the best in others. She had a wonderful bond with Tippy. Dana Mentink wrote a wonderful story that seemed so real that I now feel like I am missing friends and a dog! A wonderful feel good novel. Give yourself a treat and read Sit, Stay, Love today.